With an extensive mid-range lineup up its sleeves and an expanded flagship series on the horizon, the upcoming Galaxy A90 will help bridge the gap between the two. As things stand, not too much is known about this device. But thanks to the folks over at SamMobile, some extra details have now been revealed. According to the information, the device, which carries the model number SM-A905F, is presently being tested with a very respectable 128GB of internal storage. This should be expandable via microSD and will be paired with an unspecified processor and potentially as much as 8GB of RAM, much like the current-gen Galaxy A9 (2018). Moving over to the external side of things, the Galaxy A90 is largely expected to debut with one of Samsung’s latest displays complete with an in-screen fingerprint scanner. However, at the moment, it’s unclear if this display will be a notched Infinity-V panel or a punch-hole Infinity-O screen. Completing the smartphone’s setup will be three gradient color options – black, gold, and silver – and either a triple or quadruple-camera setup on the rear. But unless Samsung makes some major changes, we don’t have much hope for the latter feature. 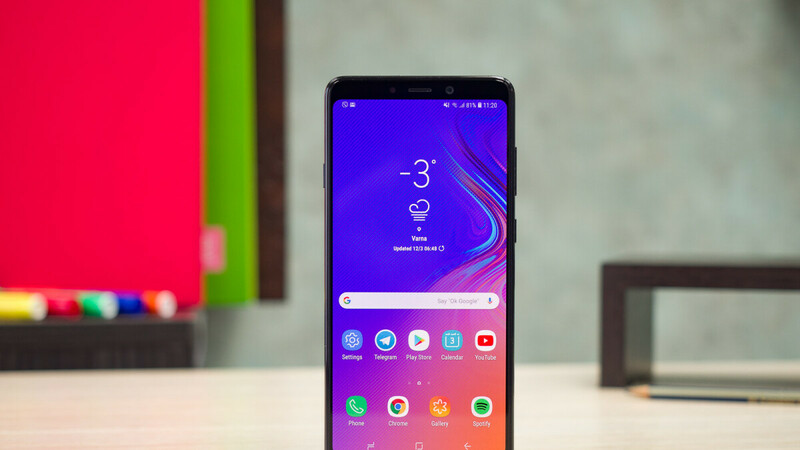 The Samsung Galaxy A90 is rumored to go on sale in the second quarter of 2019 alongside the Galaxy A50 and Galaxy A70, both of which will also sport in-display fingerprint sensors. I hope this is a flat screen phone , I had enough of these curved displays nice to look at but impossible not to break. Will not be buying another curved screen phone. It's expected to be cheaper than the Galaxy S10E so it probably will be.